So, you are not sure whether or not you are ready to franchise. Let’s check out some of the important success factors that you need to consider. Is your business profitable at all levels? That is, will the franchisee as well as you, as the Franchise Company’s owner, make sufficient money? In other words, will both parties share in the wealth? Take our franchise quiz below and we will contact you to discuss your business franchise opportunities. 1. Has your business been in operation long enough? The longer your business is in operation the higher your chances for franchise success. 2. Is your business profitable? Are the profits considerable? Are you making a good living? The greater the profits produced by your business, the greater the number of qualified prospective franchisees it will attract. Profitable franchisees usually make happy franchisees thus increasing your potential for growth and success. 3. Do your products and services fill a defined consumer need? Are they acceptable for a large segment of the market? Are they unique? Are they different from those offered by the competition? The greater demand for your products and services and the more unique they are, the greater your chance for franchise success. 4. Is your business simple enough that most people can learn how to operate it effectively with a reasonable amount of training? Can your business be analyzed and fully documented for others to follow by using operation and procedure manuals? Can your business concept be packaged and effectively communicated and marketed to prospective franchisees? The more systemized your business is, the easier it will be for others to replicate your success. Your business needs to be simple enough so you can teach others how to run it. The better documented your business is, the less time this step will take during the franchising process. 5. Are you eager to expand and capable of providing initial and ongoing support to franchisees? Do you currently have employees (including yourself) who you can be reassigned (at least on a part time basis) to focus on franchising? Running a franchise company requires time and effort to recruit, train, and support franchisees. The better you do these functions, the more value people will see in your franchise and thus the greater your chances for franchise success. 6. Will you be able to offer enough value to your franchisees to maintain a solid ongoing and beneficial relationship with them? Franchise success is only sustainable when your franchisees see value in your relationship with them. The more value you provide to your franchisees, the greater your chances of franchise success. 7. Are you prepared to and capable of investing the necessary funds to create a successful franchise system? 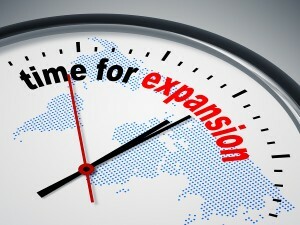 Franchising requires a significant investment. Not only to create the franchise system, but also to market the franchise offering. Your level of success is greatly determined by your willingness and ability to make the required investment. Don't know what all of this means to you? No problem. Call us or submit your quiz by entering the information below and clicking submit. There is no cost and no obligation and we'll be delighted to help you make sense of all this. Don’t think you are ready?